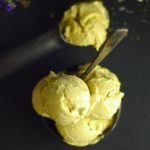 Of course there’s already an array of ice cream recipes on the blog and in Unconventional Treats, but there’s always room for new flavors, new textures… so while I’ve been enjoying a few of my oldies, expect more ice cream recipes of different varieties in the coming weeks, starting with this mango, pineapple, ginger, turmeric combo. I have a thing for the ginger turmeric combo in general. There’s just something really soothing about it… plus that pretty natural yellow color is so cheerful, how can it not make a person happy? I also happen to like combining turmeric with mango a lot — the flavors balance out really well, the colors meld into various depths of sublime yellow…and it’s just delicious. Throw some pineapple in and take that even further. Now, let’s talk about how to make this truly CREAMY. I started off by cooking up the fruit into a compote of sorts. If you don’t have jam sitting around and you’re in a pinch, this method works with whatever fruit you’ve got on hand. Cooking up the mango and pineapple gets rid of some of the water in the fruit — if you’ve ever had an icy ice cream fail, chances are it’s because you tried to use fresh fruit. The water inside turns into little icicles as your ice cream sets, so cooked fruit (or using jam) circumvents this problem. 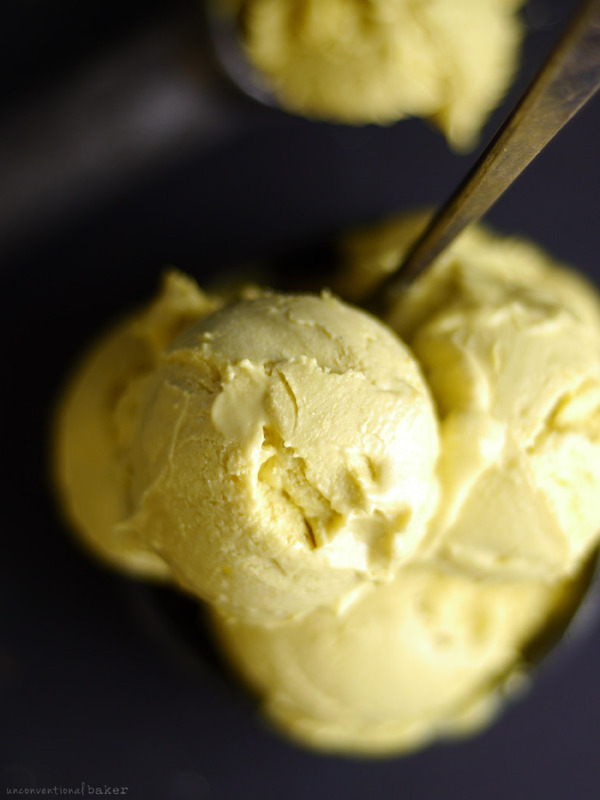 This ice cream turned out to be everything I was looking for — smooth, creamy, refreshing, sweet, tangy, with a bit of a kick from the spices, and… zero iciness. Moreover — zero churning and no ice cream maker required! You could put it through an ice cream maker if you like extra-airy ice cream, but who needs extra steps ;) In fact, I sold my ice cream maker last summer, after having made so many delicious no churn ice creams I decided it’s one kitchen contraption I can do without — no more noisy churning for me, thank you very much! 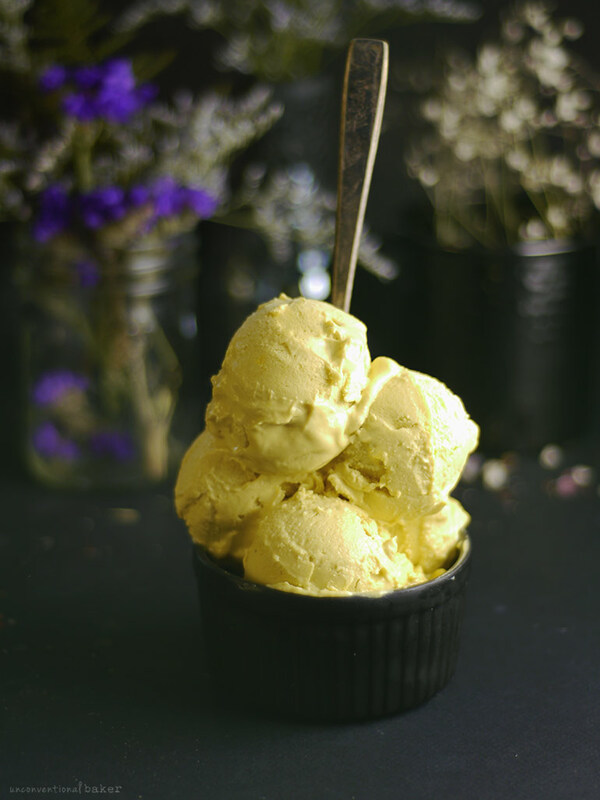 A sweet refreshing vegan ice cream recipe made with mango, pineapple, turmeric, and a spicy kick of ginger. 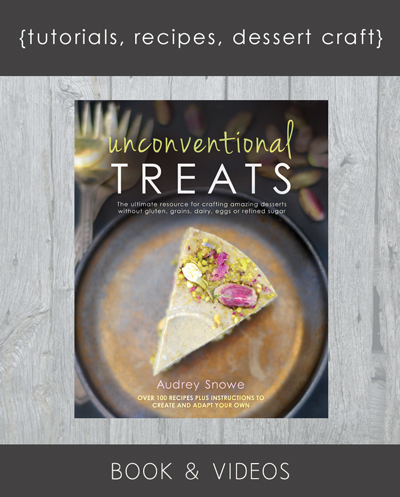 Refined sugar-free, gluten-free, and paleo. Place all compote ingredients into a saucepan and bring to a light boil on medium high heat. Once the mixture starts bubbling a little keep it cooking for 10 mins, stirring frequently with a long-handled wooden spoon (so you don’t burn yourself — sugar burns are no fun! )(don’t worry if the tapioca clumps up a little here and there — that’s ok). Remove off the heat and cool off on a rack for at least 10 mins. Place all ice cream ingredients as well as the cooled off compote into a power blender and blend until smooth (use the tamper if using a vitamix). Transfer to a glass jar or container of your choice and freeze overnight (note, if the mixture feels hot in the container, let it cool off a bit before freezing). Thaw out to a scoopable consistency on the counter and enjoy! 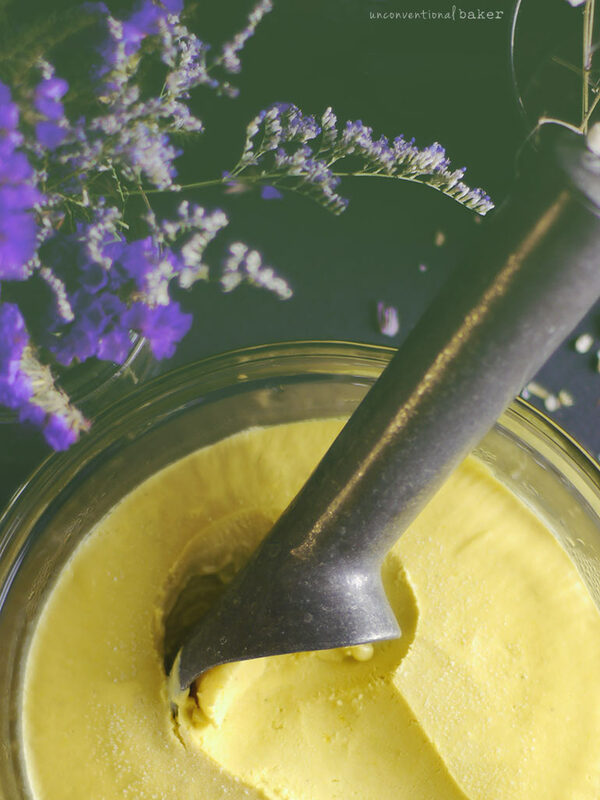 Disclaimer: this post contains affiliate links for maple syrup, vanilla extract, salt, coconut oil, tapioca starch, ginger, turmeric, and a power blender. Is there anything you can do to the sugar content, cup of maple syrup is quite a lot , and do you know what the sugar content is ? What a wonderful recipe I can’t wait to make and eat considering my diet sensitivities. Is there an alternative for the Dairy Free Yogurt? Thank you for sharing your gift, it is life-saving deliciousness for me! 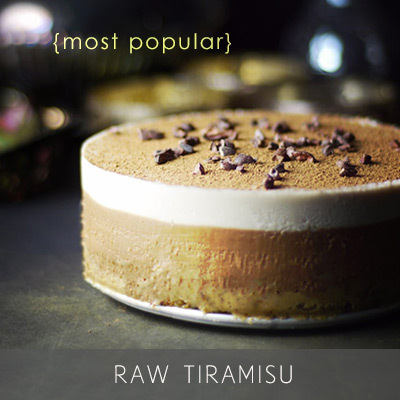 This sounds amazing but in general, I find that cashews seem to be a prominent ingredient for most of your recipes. 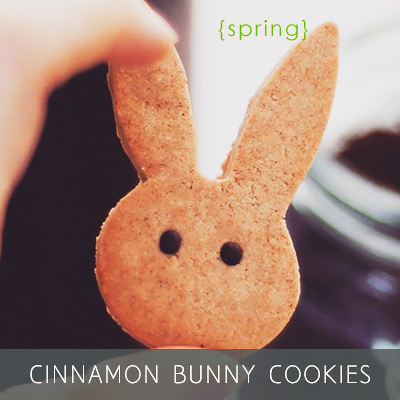 I love them; however, I am not suppose to eat them. Would marcona almonds or macadamia nuts provide the same results? 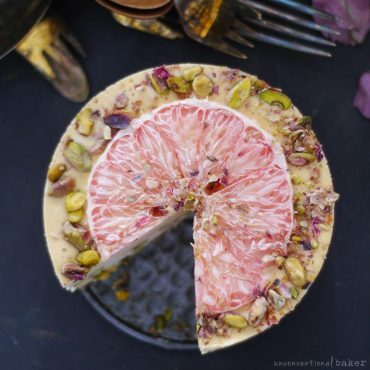 For this recipe, I think cashews are the ideal medium since their flavor is very mild and their texture is very smooth compared to other nuts. My experience with almonds is that it will work, but the mixture will be less smooth. Both almonds and macadamia substitutions would probably require more sweetener because cashews are naturally a lot sweeter. They’ll also of course add a new flavor to the mix. If you give either a try, I’d love to hear how it turns out. Hi Audrey! I’m in love with your recipes! My 13 year old daughter was diagnosed with Crones disease a year ago we follow a very strict diet. 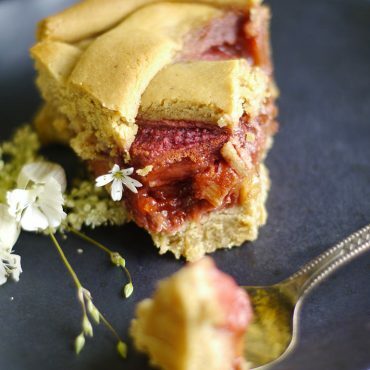 Although I have to eliminate an occasional ingredient like tapioca starch or substitute honey for the sweetener, the Alternative Baker recipes still come out amazing. What a lovely recipe! I bet that this ice cream was the perfect refresher for a a hot day. You can never have too much ice cream varieties, in my humblest opinion! Keep them coming, Audrey! Hi Katie. Hmmm.. You can do more pineapple, or do a combination of more pineapple and some banana in place of the mango. Hope that helps! I just love this combo :) — and the fact the recipe is both summer and winter appropriate! Hi Alicia. 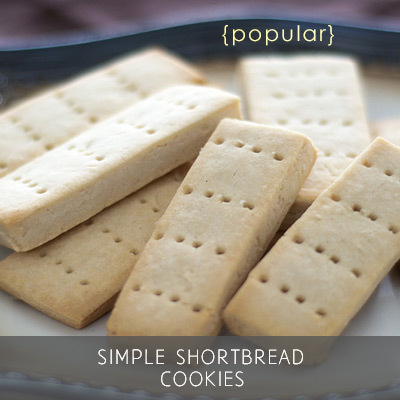 You can use arrowroot, potato starch, or corn starch instead. Hi, looks like a great recipe. Would love to try it today, but I don’t have any pineapple, atm. Any substitutes? Hi Julia, my apologies for the delayed reply (I’ve been quite under the weather the last few weeks so just catching up on blog comments now). The pineapple gives it a nice tart and refreshing flavor. If you want to omit it, I’d just add more mango and a good amount of lemon or lime juice. Delicious! I’ve made this Ice-cream twice already & it’s been a hit! You just made me spend a solid moment of trying to figure out what yellow thing wouldn’t be good here ? Oh, and they’re much smaller scoops than the shop… hence more of them. But I totally agree — the “one or two question” is kind of funny now ? Gosh, this looks wonderful. 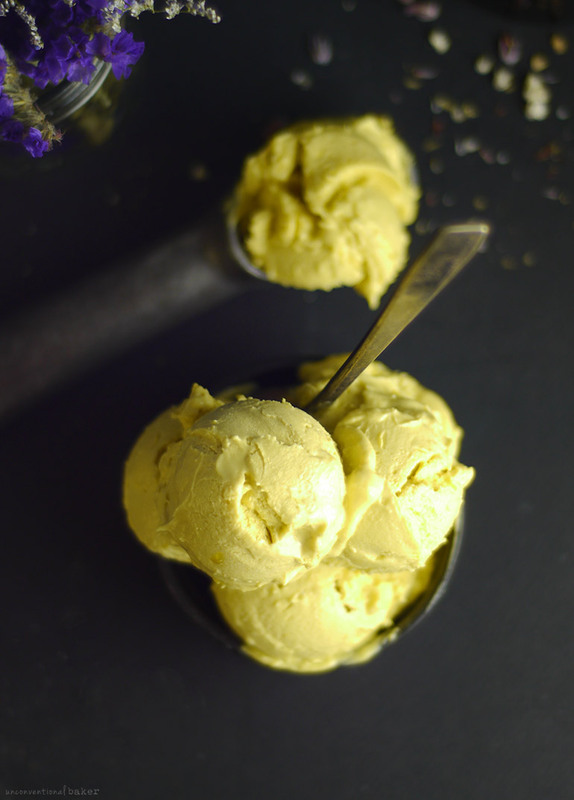 I confess to my homemade ice creams being pretty simple – usually featuring banana as a base and not a huge amount beyond that – so this sounds extra special. Audrey, this is everything! 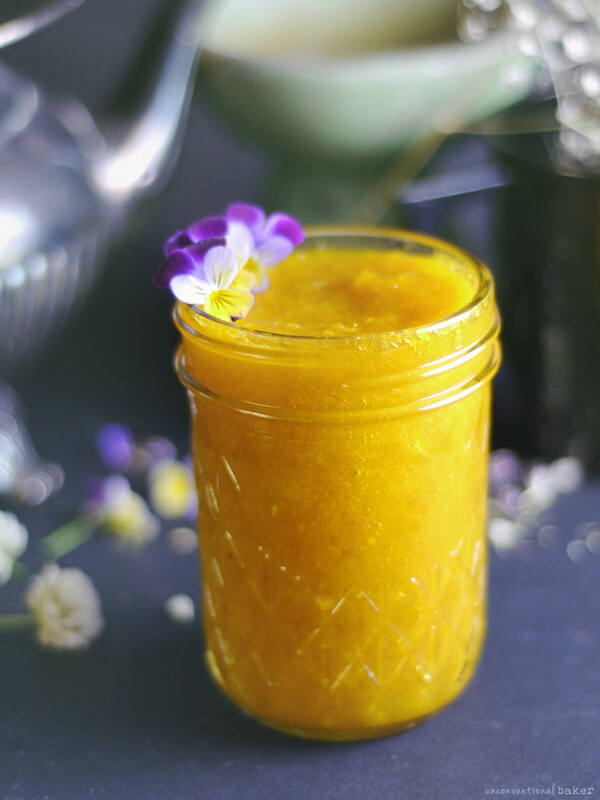 The mango, pineapple, ginger, turmeric together is such a wonderful combination. Thanks for the recommendation of using cooked fruit. Genius. Your pictures definitely show off this ice cream’s creaminess. I’m planning to try this recipe this weekend. Thanks Heather. I love it as well. Colors make me happy.